The Seller’s Challenge - Gatekeepers, concerns vs. objections. If things get in the way of closing sales, it affects revenue. Duh. 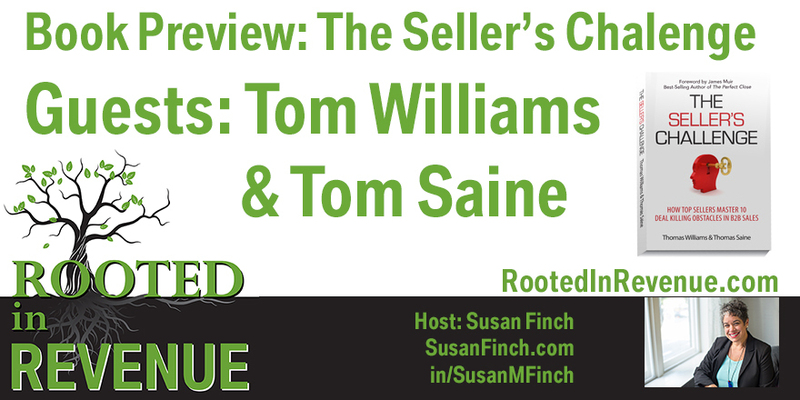 This is the second half of our discussion about the book by Tom Williams and Tom Saine - a must read and MUST HIGHLIGHT, The Seller's Challenge: How Top Sellers Master 10 Deal Killing Obstacles (concerns) in B2B Sales. Procurement (or Purchasing) can be a challenging obstacle for many sellers. How would you advise a seller to deal with Procurement? I noticed that you use the term “concerns” in lieu of “objections”. Why was that? You describe Gatekeepers in a novel way. Tell our listeners about that. You have a chapter on managing price demands. What are 1-2 takeaways for our listeners in that chapter. Will you be offering any training or keynotes on the topics in the book? Are there any other tools available to be used in conjunction with the book? This is a two part interview about the book by Tom Willliams and Tom Saine - a must read and MUST HIGHLIGHT, The Seller's Challenge: How Top Sellers Master 10 Deal Killing Obstacles (concerns) in B2B Sales. In this first half I asked them about several chapters and key points of the book. 1. What was the genesis for the book? How did it evolve? 2. What is stakeholder mapping and why is it important? 3. You wrote an entire chapter on status quo. Why? 4. What role in sales training should insight-selling play? 5. For sellers that handle RFPs that chapter is a must read. What are 1-2 takeaways that are important for our readers to know? 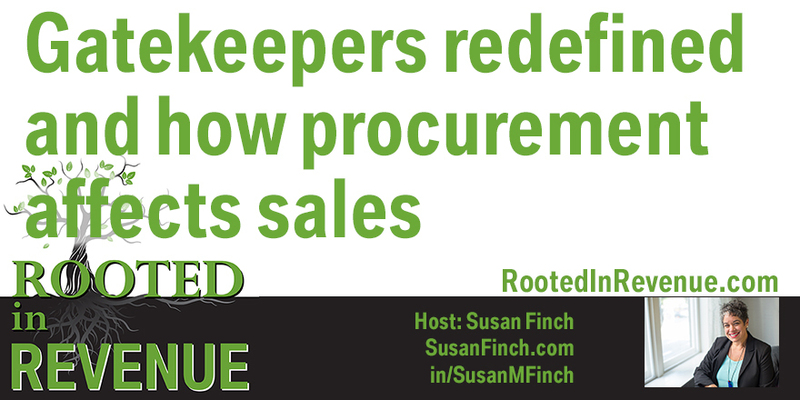 Our next episode will cover Gatekeepers and their changing role and value, Price Demands and Procurement.